I had the pleasure of designing and directing the visual performance of Planetarium, the first chapter of the music – science project by the “Deproducers”. The Deproducers come to life from the collaboration of four well-known, Italian music producers: Vittorio Cosma, Gianni Maroccolo, Riccardo Sinigallia and Max Casacci. A collective further enhanced thanks to the addition of producer Howie B (U2, Björk) and drummer Dodo NKishi (Mouse on Mars). The astrophysicist Fabio Peri, who provides the scientific knowledge, leads this artistic path of knowledge and entertainment. Planetarium is a music album that tells science through music. With scientific language emphasizes data and mechanistic processes, but only to leave grasp the deep sense of poetry in the background. 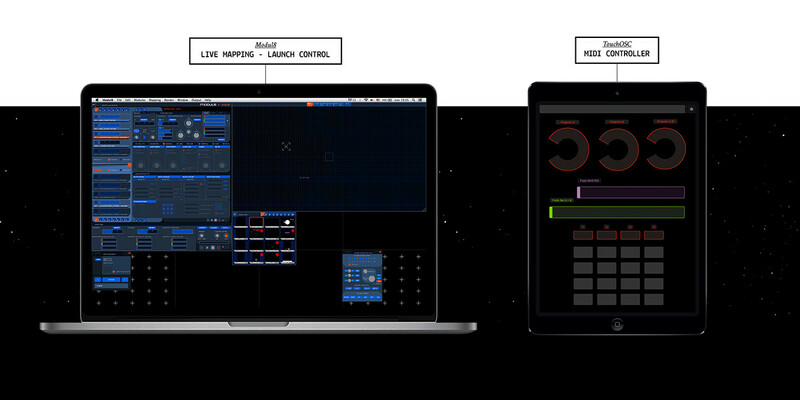 The live set takes form in the theater by mixing the thrill of performing arts and the excitement of a real planetarium with the goal of combining science and visual arts for drift the audience in the deep space. The live show has 8 chapters, one for each music track, based on a specific astrophysics plot, a piece of the Universe and its relationship with mankind. We had access to the European Space Agency archive who give us an endless set of insights. 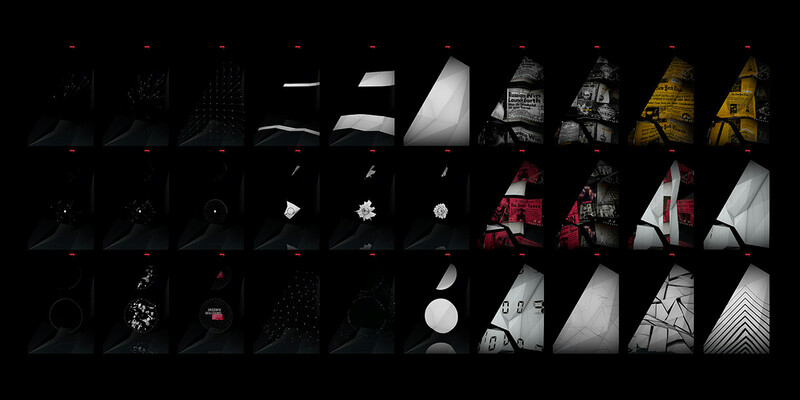 The show is based on scientific footage blended with abstract patterns, infographics and immersive mapping. 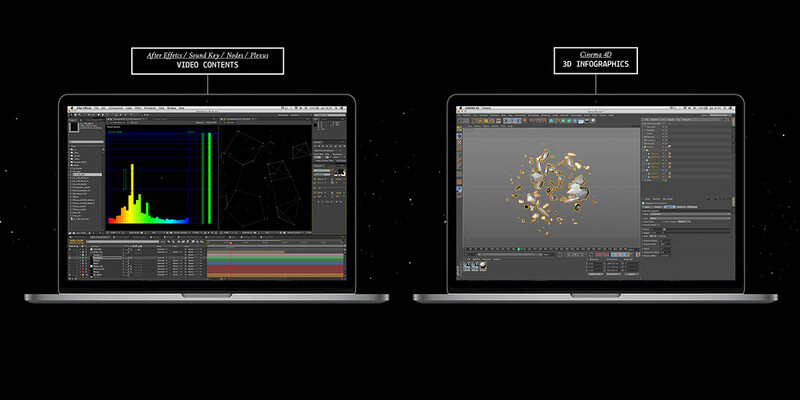 Some visuals are a close representation of the sound wave, connected to live samples sent by the sound mixer. 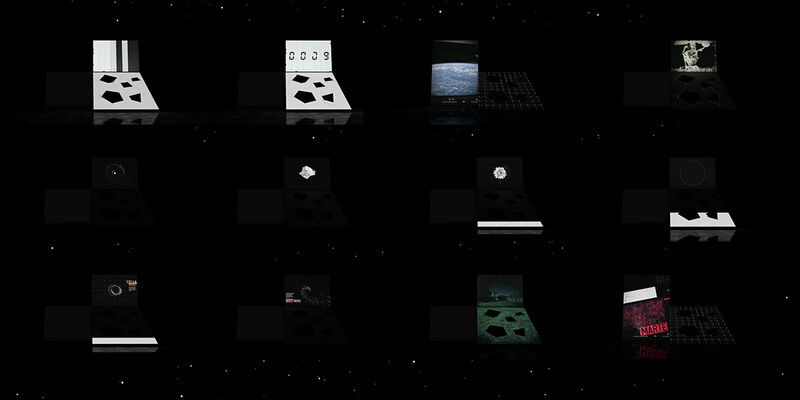 Planetarium is a music album that tells science through music. With scientific language emphasizes data and mechanistic processes, but only to leave grasp the deep sense of poetry in the background. 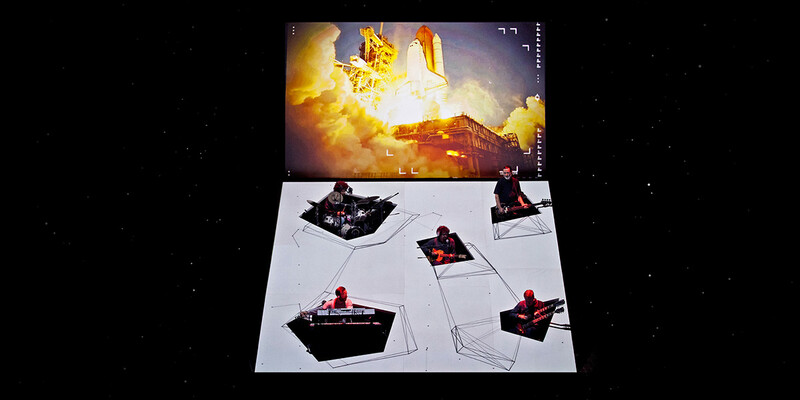 The live set takes form in the theater by mixing the thrill of performing arts and the excitement of a real planetarium with the goal of combining science and visual arts for drift the audience in the deep space.